Sure, iTunes now has the Beatles Anthology available for download, but Apple‘s got bigger news: the Google Voice app is here. It may not have warranted a full-page notice, but there are plenty of iPhone users out there celebrating Google Voice‘s long-coming availability in the App Store. 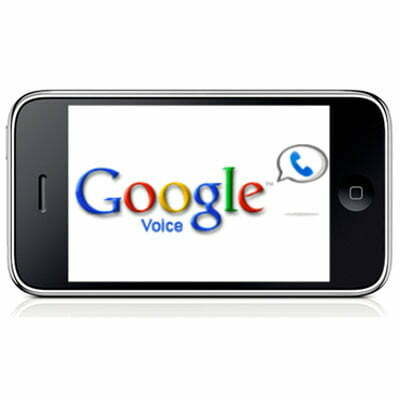 Prior to today, users were limited to using Google Voice on the Web only, but to fantastic results. It’s been wildly popular, allowing users to make international calls for pennies and send free unlimited texts – and all with Apple’s stiff disapproval. Apple claimed concerns over the app duplicating its own primary function and has allegedly been reviewing it since. This invited some attention from the FCC and FTC, and a year and half of subversive use later, here we are. The app allows users to bundle multiple phone lines under one number, as well as transcribe voice mails. The dirt cheap international calling and free SMS service remains, and Google is even going to bolster the app with optional push notifications and quicker call connection. And it is definitely more powerful than its Web-based counterpart, for anyone out there wondering if the app is worth installing (for free, mind you). While we can’t imagine anyone is really wondering that (again, emphasis on free app), the so-far glowing reviews (including this one from SlashGear) say it definitely is. What’s also encouraging about the addition of the Google Voice app is what it means for the App Store. Apple’s approval process has had its fair share of critics, and it recently implemented some policy changes as a response to user and developer frustrations. Apple claimed it would be relaxing its restrictions for app guidelines, and adding Google Voice is a significant step in that direction.